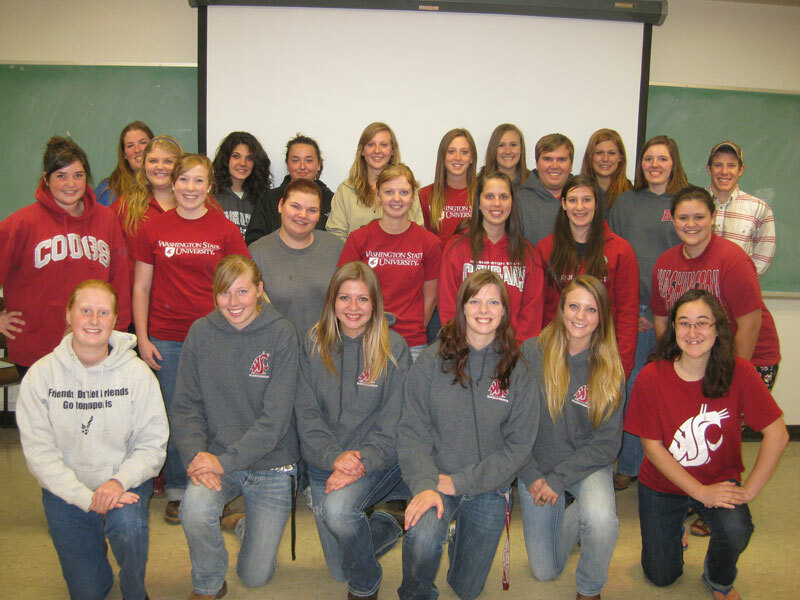 ASGSA’s mission is to represent the graduate students within the Department of Animal Sciences in the College of Agricultural, Human and Natural Resource Sciences at Washington State University in promoting cooperation, leadership, professionalism, and animal science both intramurally and off-campus. The Block and Bridle Club is made up of students who have an interest in working with livestock and the livestock industry. 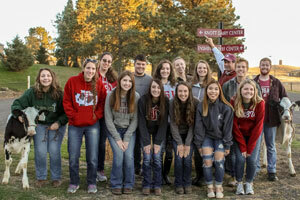 Throughout the year, club members work with the WSU Beef Center to train, fit, and sell heifers and steers. This allows the members to work with animals, earn money for club activities, learn to fit and train large animals, and to interact with producers on sale days. Other Club activities include hat sales and occasional working trips to western ranches. Students interested in a social organization that allows the development of leadership skills should consider joining. The Block and Bridle Club welcomes all new members regardless of livestock experience. Members of Collegiate Horsemen’s Association are interested in all things horse-related. We welcome and encourage anyone to join our club, regardless of horse experience. We have scheduled professonials in many areas of the horse industry, including an equine dentist, a farrier, and equine veterinary resident to come talk to us about their jobs. We are planning to visit some horse operations in the area where we can see some world-class cutting and reining horses and meet their trainers. In the future, the club would like to sponsor a poker ride or a “horse fun” day for area youth. For more information about CHA, look for our Facebook page or send us an email at wsucollegiatehorsemens@gmail.com. The Companion Animal Club is dedicated to educating and providing hands-on experience of companion animals. We provide outlets of information of all species of companion animals. Including: dogs, cats, rabbits, reptiles, guinea pigs, ferrets, mice, rats, and birds. We have educational field trips, chances to interact with live animals, socializing opportunities, and great guest speakers relating to companion animals, careers with animals, volunteering opportunities, and more. So far we have worked with the Whitman County Humane Society and Cooper’s Legacy, had doggy bandanna making events for fund-raising, hosted guest speakers, practiced dog handling and worked on the Pet your Stress Away event. Anyone from any major is welcome to come and be a part of the club. Email companionanimalclubwsu@gmail.com if you are interested or would like to know more! 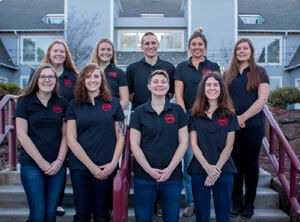 The Cooperative University Dairy Students (CUDS) is a student organization at Washington State University located in Pullman, Washington. CUDS provides a personal and professional growth opportunity for all undergraduate students, while earning class credit through The Department of Animal Sciences. 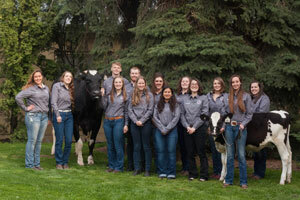 CUDS manages its own individual herd of 35 registered Holsteins at the Washington State University Knott Dairy Center. Each member gains practical experience in all aspects of herd management and industry practices. All of the milk produced by the CUDS herd is marketed to the Washington State University Creamery otherwise known as Ferdinand’s. Here students can learn how the milk produced by their herd is processed, and turned into the world renowned Cougar Gold Cheese along with other nationally recognized cheese and ice cream products. 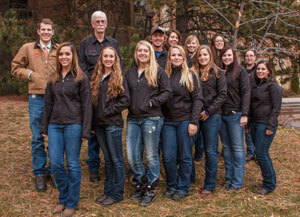 The Cougar Cattle Feeders is a group of undergraduate students, who have a strong interest in the beef industry. Each year 10-15 students are selected to participate in this intensive program. 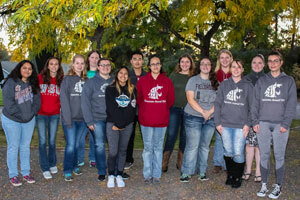 Students contact producers to solicit the donation of steers or heifers to the Cougar Pride Program, which is a way for producers to support WSU Animal Sciences. Students in consultation with advisors are responsible for all aspects of feeding, caring and management of both donated and custom fed animals. 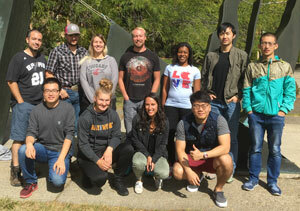 Students make decisions about diet formulation, health and harvest programs and provide donors with monthly reports and a final report complete with carcass information. Students also keep detailed financial records of the complete program. 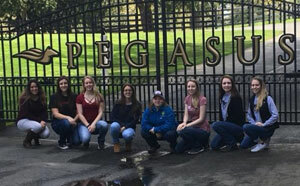 Students make presentations at county cattle associations, participate in the Washington Cattlemen’s Association Annual Meeting, collect carcass data at a major packing plant and have the opportunity to make many industry contacts. Monies earned go to support undergraduate scholarships and the Livestock Judging Team. 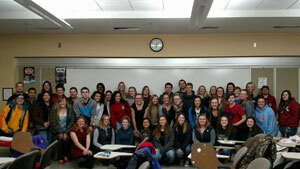 Dairy Club has a membership of about 20 students who have an interest in the dairy industry. Dairy Club meets every week to plan both social and educational activities for the members and the college community, as well as to participate in discussion of dairy issues with faculty or invited guest speakers. Major activities include Cougar Cheese Sale, field trips, retreats, barbecues, maintenance of the WSU Dairy Club Web Page, a fall recognition banquet, Cougar Youth Instructional Weekend, participation in the Student Affiliate Division (SAD) of the American Dairy Science Association (ADSA), Hoard’s Dairyman Cattle Judging Contest, and the Back-to-School Farm Olympiad. Milk and cookies are served at all meetings. The Pre-Vet Club is a club that offers an academic and social support system for pre-professional students in veterinary medicine. It promotes scholarship, fellowship, leadership and character among its members through bimonthly meetings, pertinent trips and activities. Our main goal is to educate members on careers in veterinary medicine and provide information regarding entrance requirements to the various veterinary colleges. The Student Swine Cooperative (SSC) is a group of undergraduate students interested in learning about swine management and receiving hands-on experience. The students work closely with advisors and members of the pork industry. They are responsible for managing a small herd farrow to finish in a modern swine facility. The students are responsible for all aspects of running a profitable business. Students also have the opportunity to get involved in the industry and help educate the general public about the pork industry through community service. Since this is a cooperative, students also learn how to work as a team.